Diana Mathura-Hobson,Project Coordinator,Digicel Foundation (left) shakes hands with Kenia Campo, Managing Director of the Germi-Nation Farms Ltd. as she presents her with a cheque. Looking on are other members of the Germi-Nation Farms Ltd. 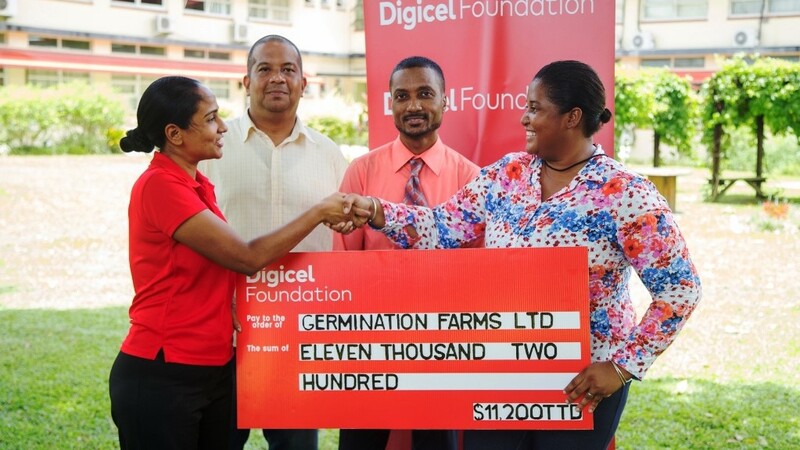 The Germi-Nation Farms Ltd. became the latest recipient of the Digicel Foundation’s Community Engagement Grant, receiving funding for its Primary Schools’ Agri-Stem Programme known as ‘The Little Green Thumbs’. 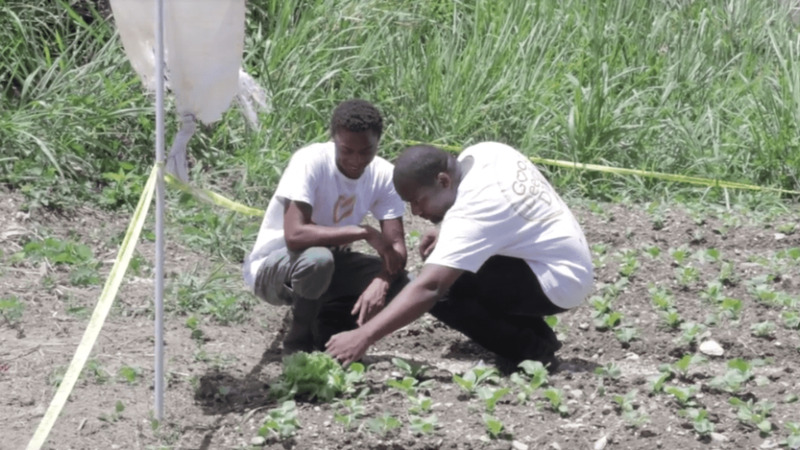 The aim of this initiative, which is managed by Agriculture in the Classroom (AG-STEM) is to educate young people on their environment, community and health through active participation in a classroom garden. This interactive Programme engages students by providing them with a dynamic environment in which they can observe, discover, experiment, nurture and learn. The long-term goal is to position these youngsters to become more aware of their surroundings and make better choices as it relates to their nutrition. 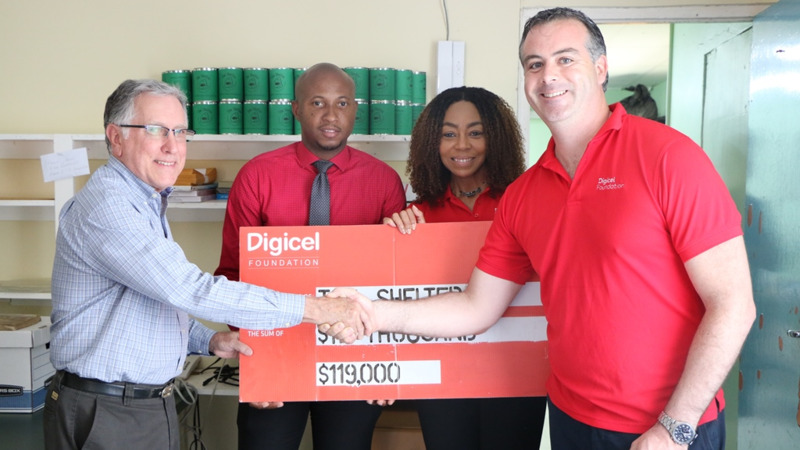 Diana Mathura-Hobson, Project Coordinator, Digicel Foundation presented a cheque in the sum of TT$11,200 to Kenia Campo, Managing Director of the Germi-Nation Farms Ltd. on August 6. The funds will be used to offset costs associated with purchasing equipment needed for the Science Grow Kits for plants in the classroom, Know Your Roots Lab Kits and the Terrarium Grow System for Greenhouse Effects Kits. The Little Green Thumbs Programme will be implemented in four schools across the country – namely Chinapoo Government Primary School in Laventille, Diego Martin Boys RC, Carenage Government Primary School and the Ortoire RC Primary School in Mayaro. 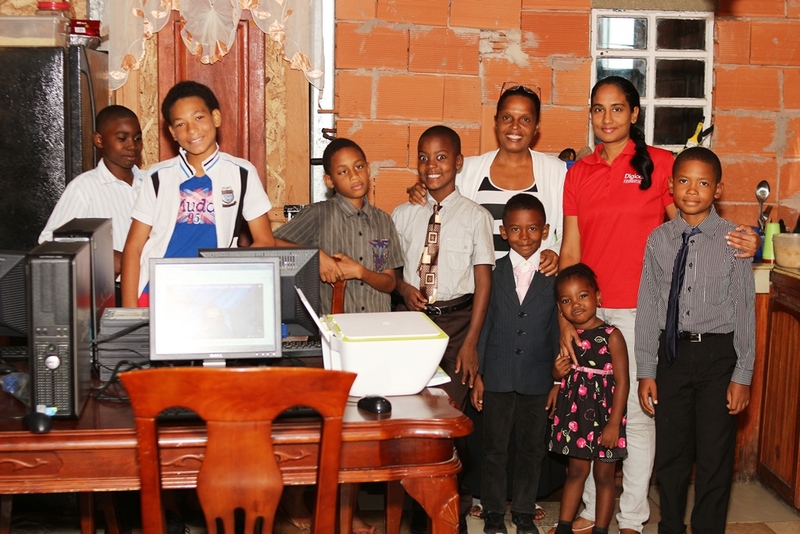 Last year, the Digicel Foundation, through 10 Community Engagement Grants, partnered with and positively impacted persons throughout Trinidad and Tobago. Community Engagement Grants were issued to ALTA, New Beginnings Learning Centre, Strategic Learning and Special Institute, the Water Front Relief Centre, the Centre for Socially Displaced Persons, Salvation Army, Martin’s Guapo Children’s Christmas Party, South-Central Flood Victims, Charity Promotions, and for a special student viewing of blockbuster movie, Black Panther.